Podcasts about podcasts are not uncommon. MacKenzie spoke with Todd Cochrane, CEO of Blubrry about finding your voice to stand out in the crowd and develop your show. We mentioned the new Buzzfeed podcast, Women of the Hour, and spoke about the Overcast mobile app. If you’ve been looking for subscribe options on your website, be sure to tune in for Todd’s PowerPress Tip of the Day. MacKenzie and Todd mention the new composer in the studio, however we apologize for the not so perfect sound on this episode. Once again, still working out some bugs. Email MacKenzie with show topics, suggestions, and even if you’d like to be on the show! Subscribe below and on iTunes and Android. Take a look at the new studio equipment. This past summer our team reviewed more than 100 podcast directories and hosting services to see where we could improve our newly redesigned and relaunched Blubrry Podcast Directory. The results were shocking. No other podcast directory provides even half of the critical podcast information that we do. In addition, most podcast directories and podcast hosting services provide no other way to distribute your podcast beyond their website. Most directories do not provide an iTunes subscribe to podcast links. Only a couple directories provide podcast RSS feeds. Only a handful of directories provide a link back to the podcast’s website. Many directories modify the podcast artwork to promote some shows over others. There are some podcast directories that manipulate media URLs, some to the extent of downloading the episodes and re-serving them for other mischievous purposes unbeknown to the podcaster. Further disappointing, it has become evident that many of the well-known players in the space are doing everything in their power to keep listeners on their website rather than promote podcast subscriptions. In addition to the above, we now provide one-click subscribe links for subscribing on Android, which supports 9 of the most popular Android podcasting apps, as well as a simple one-click subscribe by email option. We are intent on helping listeners subscribe to podcasts. 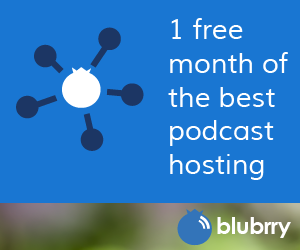 The ultimate goal of the Blubrry Podcast Directory is to promote podcasting and podcasters. We want to help the entire podcast audience subscribe to shows utilizing their favorite device or platform. That has been our philosophy since day one. If your podcast directory falls short in the areas listed above, it’s time to look at what Blubrry can offer you. Ad blockers are being used more and more, filtering advertisements out of Web pages and mobile devices. In fact, iOS 9 has recently allowed consumers to add an ad blocker app to block all mobile ads. And the trend is growing. With a large percentage of content being consumed on mobile devices, this seems like it could be disastrous for advertisers who might find access to consumers stymied. Yet the good news is that ad blocking doesn’t affect podcasting: Podcasting is the safe mobile advertising. This is an opportunity for shows and advertisers. Podcast advertising allows companies to directly target audiences who listen to or view a program. The ads are embedded and 100 percent targeted by content type and content creator, plus the listener has purposefully chosen to listen or watch the content. This comes at a time when advertisers have begun to understand the benefits of broadening their horizons and not focusing only on the larger shows. While the larger shows are great for reaching a big audience, consumers will at most hear the vendor’s ad once a week. If advertisers buy wide, including smaller, highly targeted shows, they will reach the same or larger scope of audience — targeted and engaged consumers — with ad spots being spread out among many shows. Podcasters, you need to make sure your shows are advertising-ready. Take a look on Blubrry at what makes a show ready for advertising and see if your show is a good fit for what we have to offer. Advertisers, we have literally thousands of shows for you to pick from to go-wide and reach the audience you may be missing now. Podcast advertising is in for an exciting ride and we’re looking forward to having more and more of you come along. Hard to believe it was 10 years ago. iTunes had just rolled out podcast support in this burgeoning new medium, opening podcasting up to the mainstream. Companies left and right popped up to capitalize on the podcasting boom — it was a time filled with excitement and anticipation as we threw our all into the podcast space. Soon, however, independent innovation slowed down as reliance on iTunes became the norm and, sadly, within a couple of years most of the upstarts were gone, having burned through ideas and venture capital funding. Not us. RawVoice stayed lean and mean, we worked advertising deals for podcasters, launched our first network and started to build the measurement and media platforms that power our business today. We launched Blubrry.com, our podcast community and directory, and acquired Tech Podcast Network, a directory of tech related shows. When a popular podcast plugin that integrated core functionality into the majority of podcast sites using WordPress — the leading open-source content creation blogging and website content management tool — was no longer being supported we knew the space was going to need a plugin. 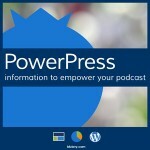 We set out to build what today is the PowerPress Podcasting Plugin, the No. 1 podcasting plugin for WordPress. All the while, we’ve been evolving / innovating, designing tools to best publish and promote content; making audience growth and advertising opportunities easily accessible and comprehensive for our podcast family. We represent the interests of our podcasters at the Interactive Advertising Bureau (IAB) — Angelo Mandato, our CIO, is heavily embedded on the measurement committee and is providing unparalleled knowledge on podcast measurement. And now, at the end of the month, we’ll be sharing with you something that’s downright revolutionary. Stay tuned! We’re pretty excited about this because we know how excited you’ll be when we roll this out. Ten years ago, we stood by podcasting and podcasters, but we never stood still. Thanks for coming along for the ride. For some businesses, a ‘mission’ and ‘vision’ are little more than flowery language to help them look and feel all warm and fuzzy about themselves. At Blubrry/RawVoice, they’re our quest. We are always looking for new ways to expand our podcast family’s opportunities, brand, access and audiences. And in that vein, we’ve found a new source to help fund PowerPress development through Patreon. Not familiar with Patreon? It’s host to an ongoing crowdfunding monthly or per creation donation. The PowerPress Patreon page is set up for monthly amounts because our plugin development and support is ongoing. Patreon also features rewards and milestones: rewards for our generous patrons and milestones we work toward each month. Powering more than 40,000+ podcasts, PowerPress is constantly maintained and updated. It’s a comprehensive tool for content creators, enabling them to publish their programs on their own website. Importantly, it’s free and — more importantly — we’re gonna keep it that way. Many of you guys already support us by using our Podcast Hosting and Professional Podcast Stats accounts and we thank you. Still, we want to do more for you, the content and the content creators you love. We are deeply committed to providing this free tool to the podcasting world. Our Patreon supporters will find Blubrry has an extensive road-map of upgrades and new enhancements to the plugin in the works. Our Patrons will be provided regular insider looks at our features before they are released. We are committed to considering and implementing ideas from our Patrons. Maintain a 30-60 day Enhancement Cycle. Hire Dedicated PowerPress Developers (so Angelo can get some sleep). We’ve got a lot of exciting podcasting advances on our road map and we’d love it if you came along on the ride! Become a Patron and help us to continue to advance PowerPress and Powering your Podcasts. Congratulations, Todd, on your Hall of Fame induction! Congratulations to RawVoice/Blubrry founder and podcast pioneer Todd Cochrane for his induction into the Podcaster’s Hall of Fame in its inaugural year. Todd has been executive producer of Geek News Central, , an audio and video tech show, since October 2004. He is also the co-host of the New Media Show and is the founder of the People’s Choice Podcast Awards and the Tech Podcast Network. In 2005, Todd wrote the Podcasting the Do-it-Yourself Guide, the first book on podcasting. He is the CEO of RawVoice, representing 27,000 media creators and podcast networks. RawVoice provides podcast data analytics, media hosting and advertising opportunities. Todd will be honored Friday, July 31, at the inaugural Academy of Podcaster’s Awards at the Omni Fort Worth in Fort Worth, Texas. Cochrane said he looks forward to seeing his friends at the awards ceremony July 31. “I am humbled to have been inducted into the podcast Hall of Fame. A large credit goes to my audience at Geek News Central and my team at RawVoice/Blubrry. Together we have worked hard to accomplish a lot for the podcast community,” Cochrane said. “It should not go without saying that my podcast sponsors have some credit here as well in that through their financial support my show has been able to continue for 10 years. We are delighted to announce that Dreamhost and Blubrry have teamed up to enable you to earn $97 for every sale you make by promoting Dreamhost to your audience. Plus you will receive an additional $5 bonus through your affiliation with Blubrry. All you need to do to participate in this Dreamhost Affiliate promotion is to email blubrry@dreamhost.com, provide your show name, URL and a good contact number, and they’ll get you setup to be a Dreamhost affiliate with a direct login on their site. You will get two checks one from DreamHost for the main award, and a second from Blubrry. We will even-up with you quarterly via PayPal. Yup. This is just one of the ways we are looking out for you. In any partnership we do with vendors, whether it be an affiliate deal or podcast advertising campaigns, we are looking for ways to help you, our podcast family, earn more simply by being affiliated with Blubrry. Blubrry now provides content creators with a mobile app that complements and integrates with their WordPress / PowerPress powered site. The service has partnered with Reactor by AppPresser, which specifically creates applications for WordPress-based sites. With Reactor and its App Creator, podcasters are able to build, design and retain control of their app to highlight / play their podcast content, and provide access to content on their website. Scott Bolinger, AppPresser co-founder, said the partnership is a win-win for podcasters. “Reactor can take your existing podcast audio and video and allow you to create a mobile app without re-uploading your media anywhere else,” he explained. “When you add a podcast to WordPress, it will be automatically added to the mobile app. Users are able to choose from different plans for their apps; plans include a one-time payment or a subscription that allows for more app modification. Blubrry encourages its users to explore the possibilities at http://reactor.apppresser.com/podcast-app/. At Blubrry, we know well that fair use in the United States copyright law is an important tool in upholding our content creators’ rights to freedom of expression. United States copyright law also understands this, and the doctrine allows limited use of copyrighted material without getting permission from the rights holders. Examples of fair use could include commentary, criticism, parody, news reporting, research, teaching and scholarship. The U.S. Copyright Office explains fair use allows for the legal, unlicensed citation or incorporation of copyrighted material in another author’s work under a four-factor balancing test. Stanford University Libraries points out, however, that the factors are simply guidelines; a judge has freedom when making a fair-use determination, so the outcome in a case can go either way. Because Blubrry is an American company, it follows U.S. laws concerning copyright and fair use. And because all the shows hosted on Blubrry are owned solely by the content creators, it is up to the podcasters to ensure they are following copyright and fair use laws. What if you are writing a counterpoint concerning an outlandish political piece? It’s a tad difficult to prove your point without calling out specific statements from the original article. And a parody can’t be a parody without content to work from. Or what if you use inadvertently captured copyrighted material when you were recording something else? All these could be allowable under fair use. At Blubrry, fair use is fair use period. We encourage all podcast and content creators to education themselves on Fair Use and Copyright laws. These links are helpful for understanding what is allowed in the United States. 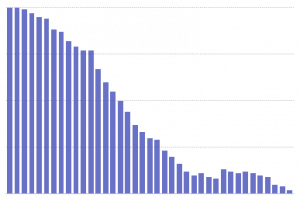 There’s no such thing as short-timers disease in the podcast space, not at Blubrry and now, with our new Long Tail Podcasting feature, absolutely not with your show episodes. The team at Blubrry is pleased to announce its latest option that provides you the ability to edit and republish content at no additional cost. With our new Long Tail Podcasting, you can focus on creating evergreen and far reaching content without additional costs. So, like, if you want to use a new intro for all of your episodes, you can upload it on all of your podcast episodes and it will not count toward your data for the current month. Replace and edit past episodes / content — giving you the ability to update your archive with no additional cost. Replace media files without it counting against your storage quota for the current month. Change whatever you please and republish, as long as the file size is within 10 percent of the original file size and the name of the episode is unchanged. Insert current advertisements into past episodes. Repurpose old episodes as new episodes, but we know that’s no issue for you because your podcasts are all about fresh content. Use your archive as a way to host new episodes such as in iTunes. Episodes that have been republished must keep the same name. At Blubrry, we’ve always focused on creating evergreen content for our customers and the podcast space. So now, yup, we’re pleased to offer the same to you. Our goal is for you to be able to keep your archive updated without spending more money. So that’s the long and the short of it and if you want to see more – well, a lot of the same stuff but worded differently – here’s the evergreen Long Tail page on our evergreen website to refer to.